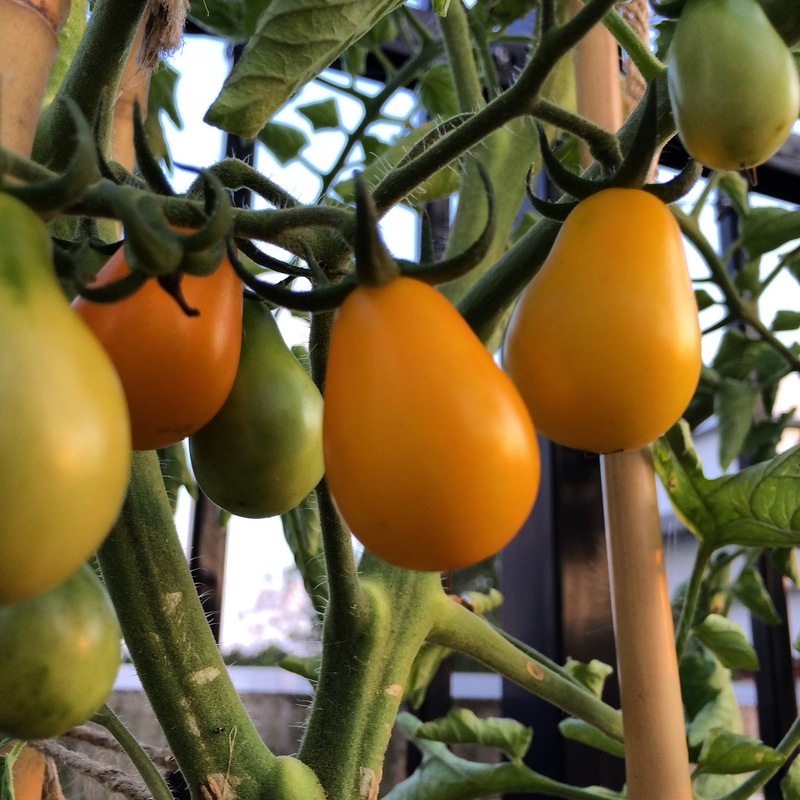 If you’ve been following along for the last three years (and I know you have been), you know that I haven’t been successful growing tomatoes. Until now, that is. I started plants from seed myself, and the 5 gallon buckets I have them in have worked out very well. My red cherries and yellow pears have been moving along very nicely, even with some branches yellowing, curling, and dying. I think it’s because of uneven watering and the intense heat upstairs. The deck radiates heat, so I lose more water. 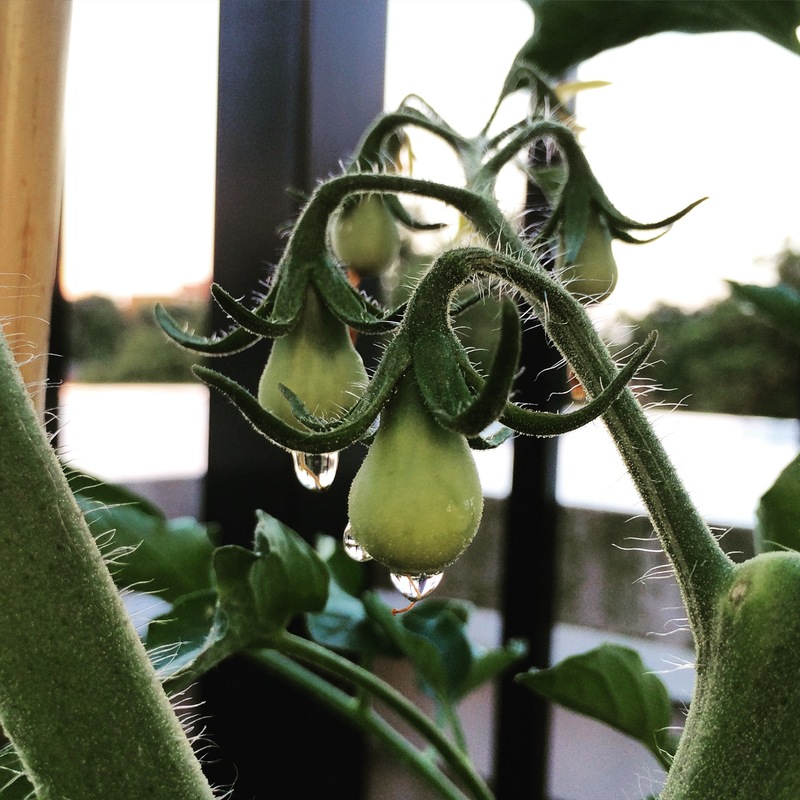 Here are a few gratuitous beauty shots of my growing tomato babies. 1) Ripe ones went to the jam pot. Today. 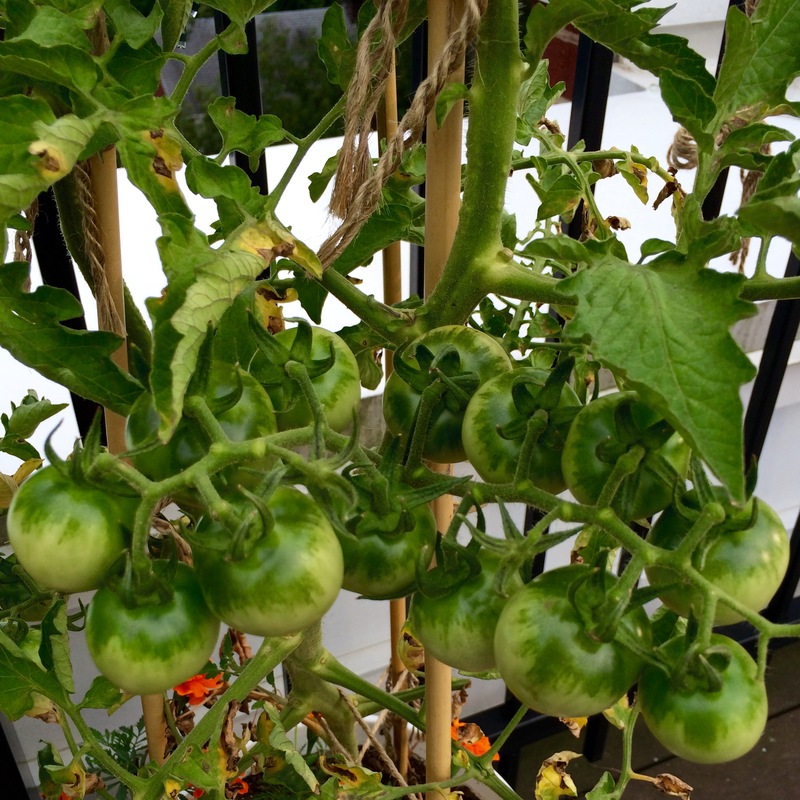 2) Almost ripe headed to a paper bag to finish ripening. 1-4 days. 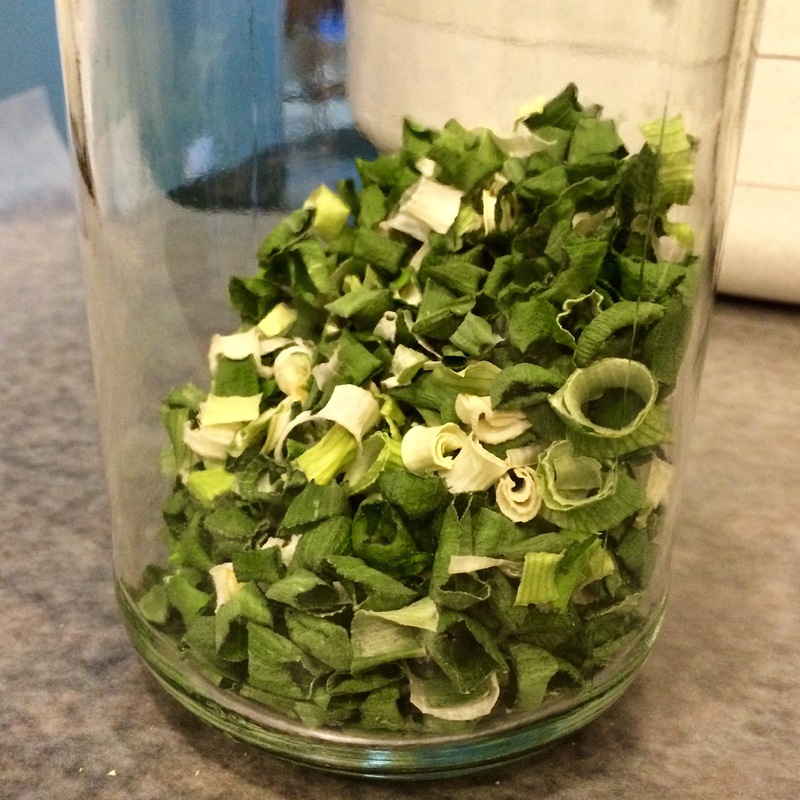 3) Green (no color, very hard fruit) were sent to the pickle jar to become cocktail garnishes. 2+ weeks. So then I made tomato jam. 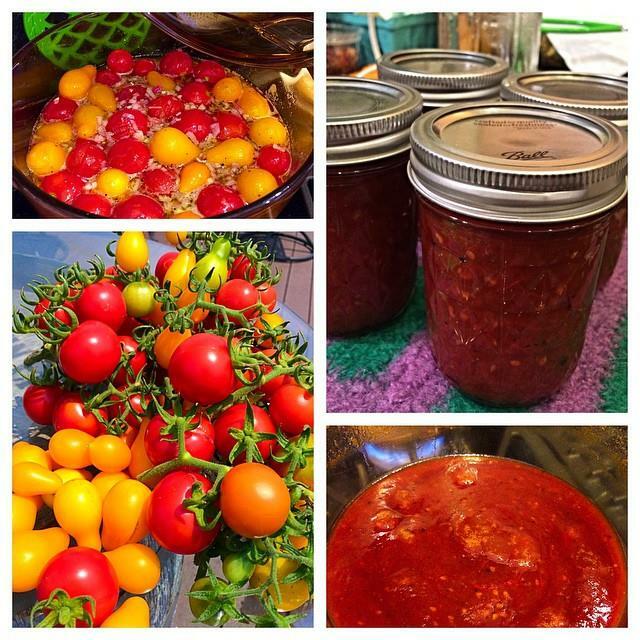 I used this basic recipe for cherry tomato jam from Jordan’s Kitchen. I had about two pounds to work with. Then I canned them in a water bath. Wound up with 4 perfectly filled 8 oz jars. WOW. I’m so excited to use it. Goat cheese and crostini. Or maybe just a spoon. 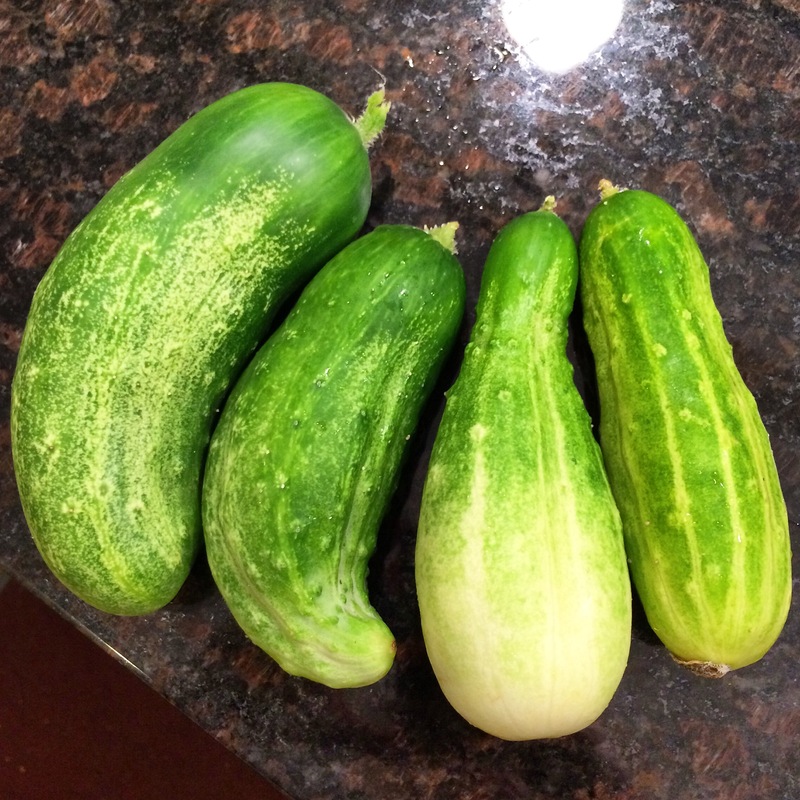 I hope that I’ll be able to harvest at least the same amount again in a few weeks. 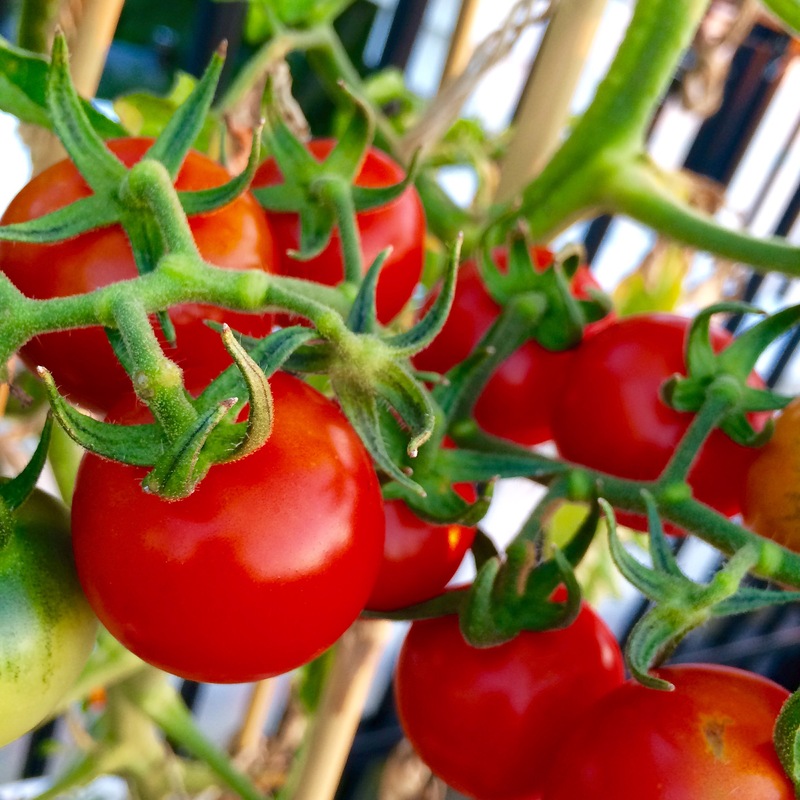 I now feel very comfortable with tomatoes on the roof. 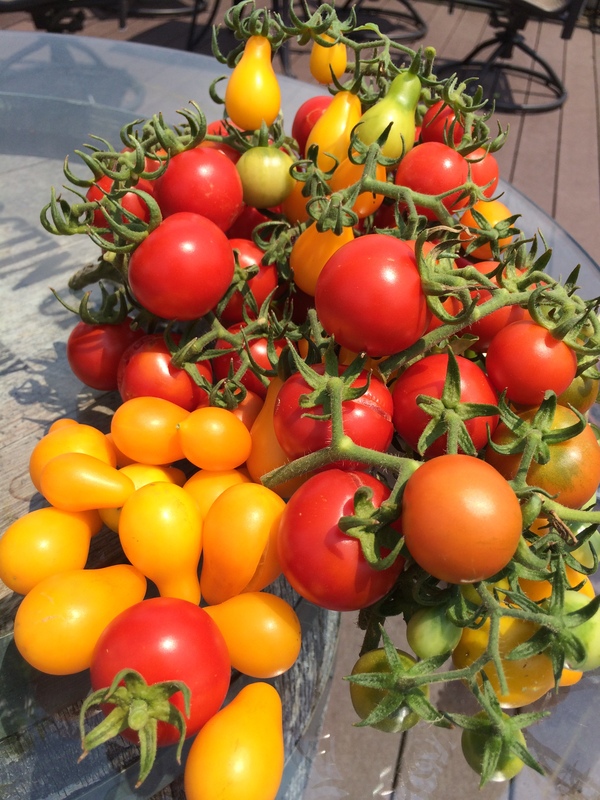 Keys are small varieties and keep them watered. First, the bad news, because it’s quick. Pepper plants never really took off. All three look scrawny, never settled in. Leaves are still green, but they just didn’t grow. 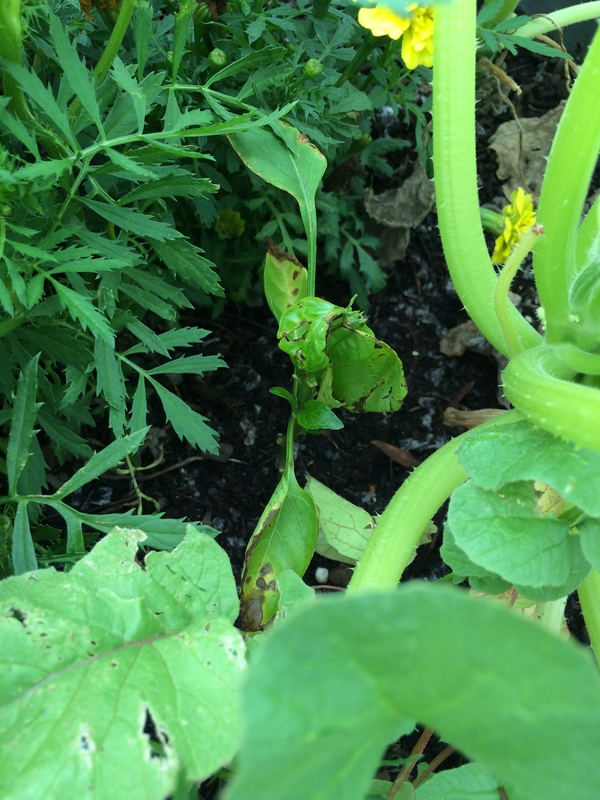 Yeah, that scrawny thing in the middle is a pepper…that should have fruit on it by now. Because it didn’t grow, everything else around it had a chance to get big. Debating pulling them now. Microwave water and vinegar until hot, not necessary to boil. Add salt and sugar and stir until dissolved. Add peppercorns and dill. Allow to cool for a few minutes. 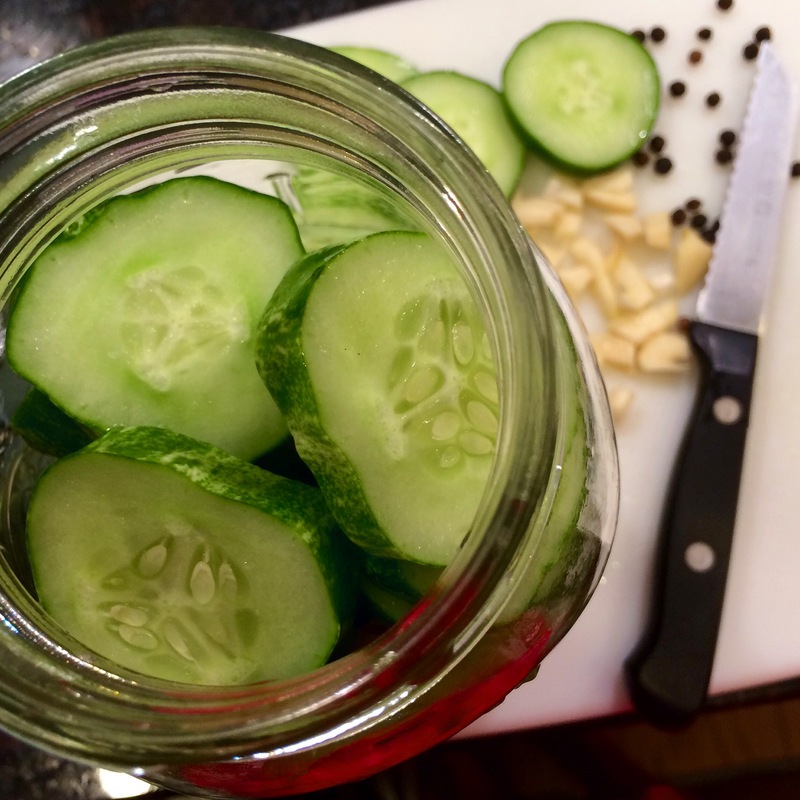 Layer cucumber slices and garlic in a sterilized 1 quart jar. 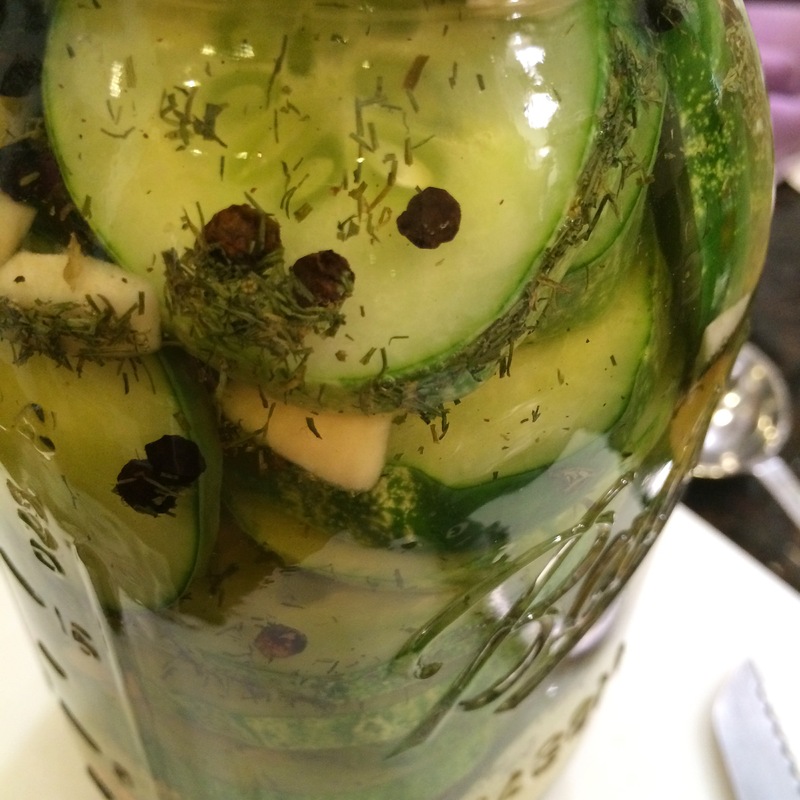 Pour in brine mixture and tap the jar or gently stir with a skewer to remove most of the air bubbles. Seal the jar and refrigerate. 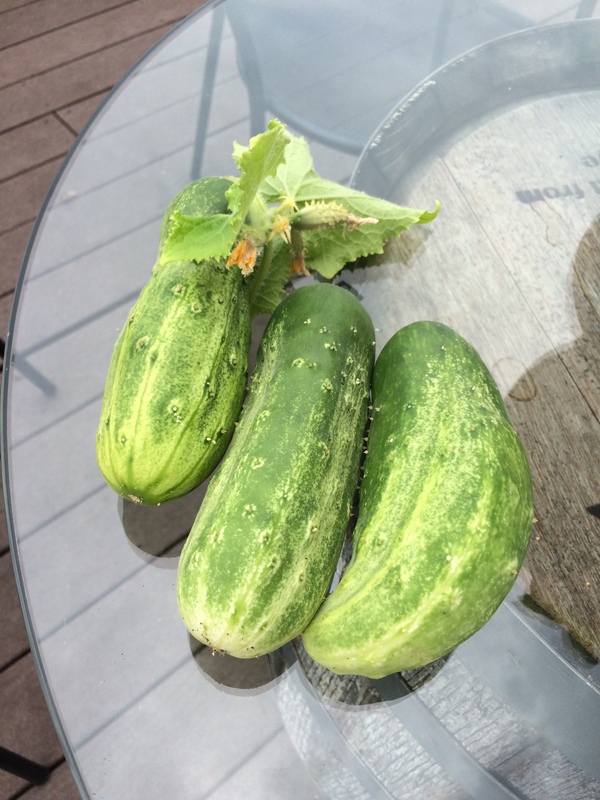 Pickles will be ready after 24 hours, but are tastiest after at least a week. This batch is two weeks now and is really good. Another fun preservation method, and possibly my favorite, is dehydration. 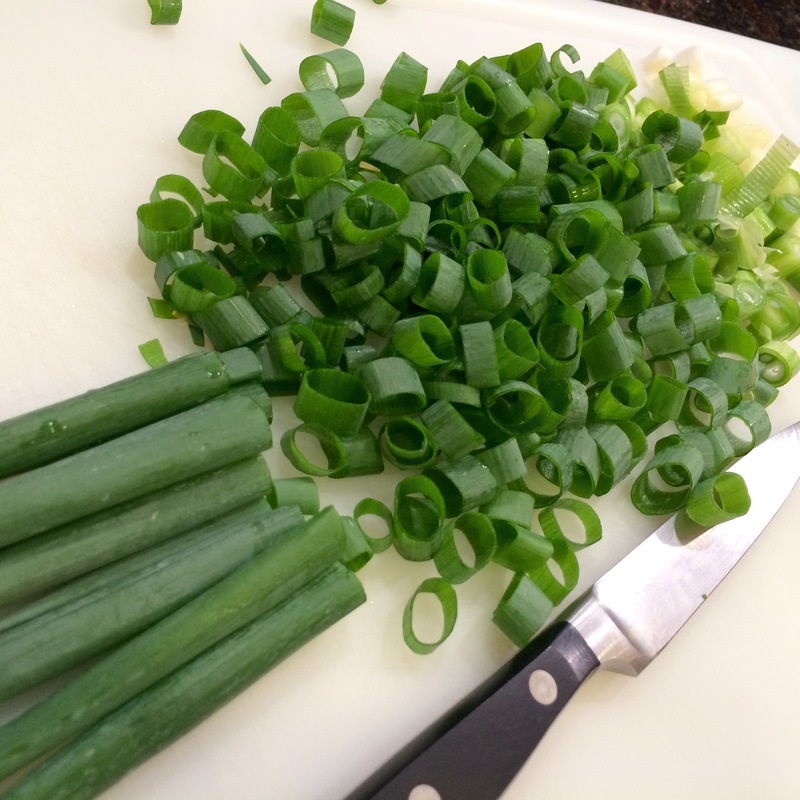 I planted the roots of organic green onions I had purchased from the grocery store, and a few weeks later I had huge green onions. One even split into two! I chopped those up into rounds and used the screens that fit on the trays to prevent smaller leaves from falling through. 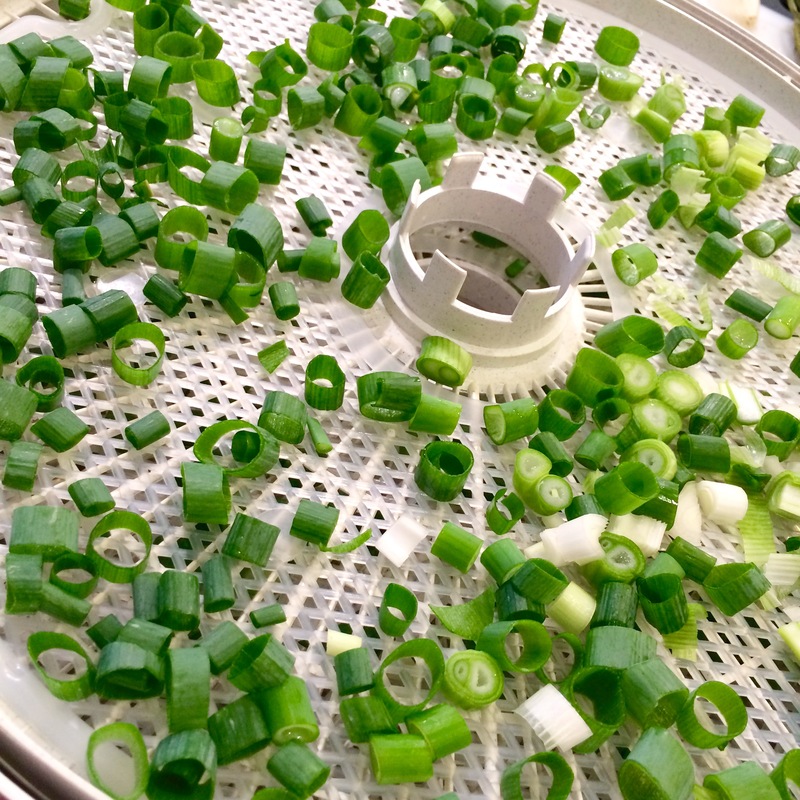 I set my dehydrator to 135 degrees, and after a few hours, I had dried onions that I can use for anything! Dip, soup, bread. Whatever. 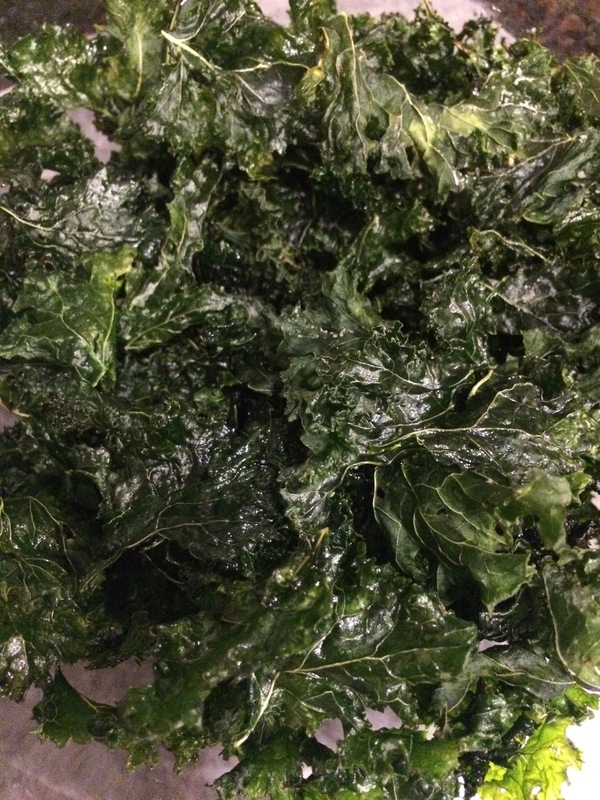 I also made kale chips in the dehydrator. First time I’ve used it for kale. In the past I’ve made them in the oven, but it’s super hot out now IN JULY, so dehydrator it was. 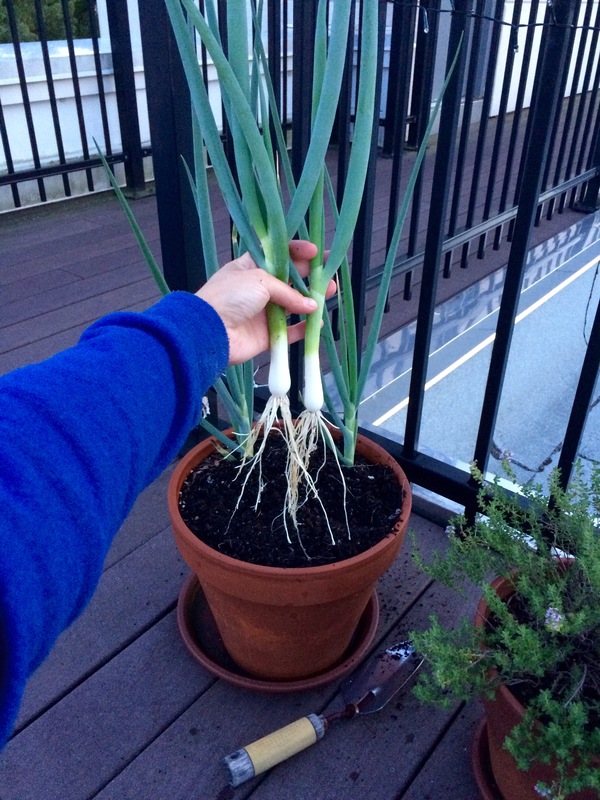 Am I growing kale on the roof? No, no I’m not. Kale has come in my CSA box from Great Country Farms in Bluemont, Virginia for the past month, and I finally got tired of it. Plus, chips last longer and are fun to eat! After cleaning them very well, I spun them dry and added some extra virgin olive oil. Then I spread them out on the trays and sprinkled on some sea salt. Wound up about 10 hours at 125, which I thought was a long time. Next time I’ll put it up higher. I did rotate the trays after a few hours. I’ve also been drying herbs. They take a few hours on about 110-120. 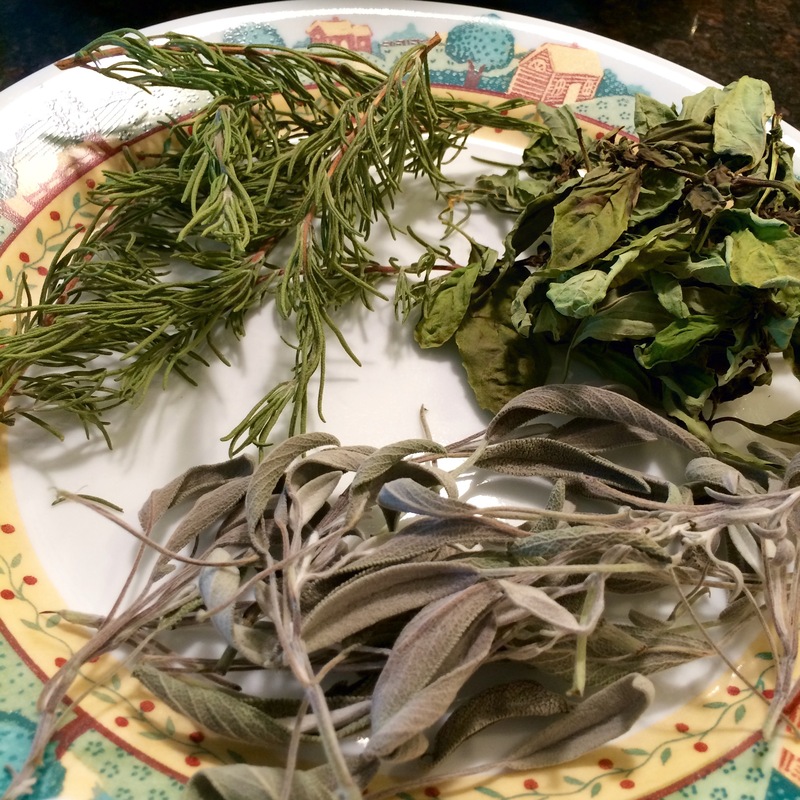 Sage, rosemary, basil in this batch and yes, I did dry them all together. Used the screens here as well. Worked nicely. I’ve also dried mint and oregano.